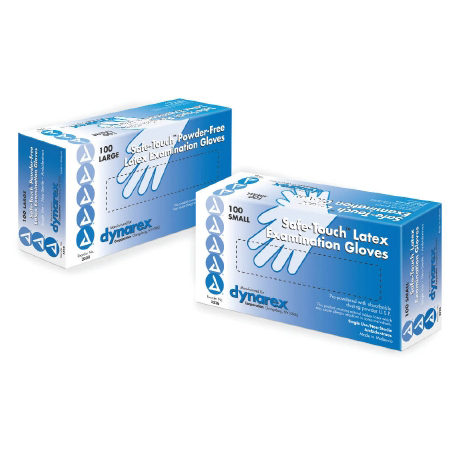 The Dynarex Safetouch Powder Free Latex Exam Gloves are non sterile examination gloves and provide extraordinary strength with no loss of sensitivity. Powder free latex exam gloves offer maximum protection and comfort for sensitive hands. These latex exam gloves are 100% powder free for laboratory procedures where use of powder-free gloves is recommended.